At the Tokyo Game Show, I had a chat with Ian Milham, creative director for Visceral Games, makers of the upcoming Battlefield: Hardline. I expressed concern over the game's ability to fully function at launch, as it seems every big launch these days comes with problems, shooters among the most common offenders (including the most recent Battlefield game, though that was developed by DICE). "What you're basically asking is, 'Is your game going to work?' and the answer is yes, it's gonna work. We actually started on this more than a year before Battlefield 4 came out. We've been working with the DICE guys for a long time; some of our engineering work is actually in Battlefield 4 and things they've been doing since then. It's in pretty great shape now and all that work is gonna come into what we're doing. We already had one very successful beta, we're going to have another beta on every platform we ship on. We take shipping a working game pretty seriously. So, yes, the game will work." He added that there will likely be some hiccups, because the game is large and will appear on five platforms, but overall he and his team are very confident in Hardline's ability to avoid major problems at launch. He pointed to the many hours the game has been running at trade shows without crashing as fuel for his confidence. At TGS, the game was being played in rounds of eight-versus-eight multiplayer matchups. While I was run over in cars being driven by my teammates more often than I would have liked, I can't really blame the programming for any of that. 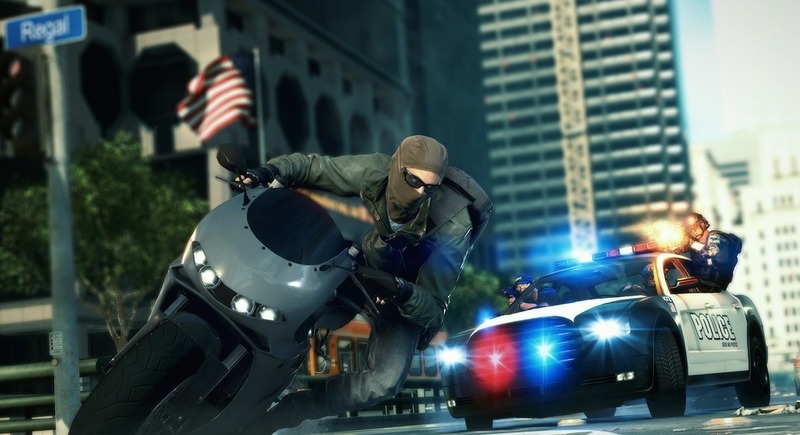 We'll find out everything about the Battlefield: Hardline launch for ourselves in 2015. The game was at first thought to be a title for late 2014, but it was pushed back into 2015, despite publisher EA not being cool with the delay at first.